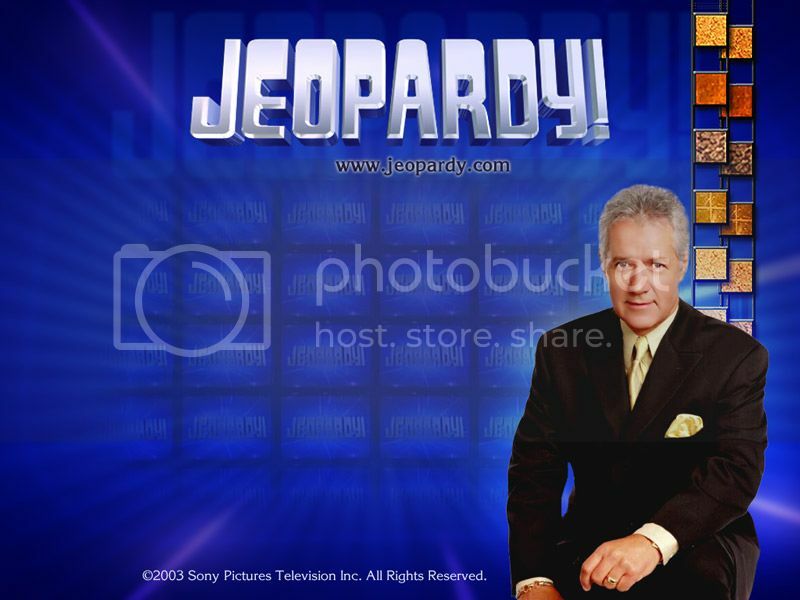 I watched brand spanking new episodes of Jeopardy and Wheel of Fortune tonight. Are these shows really still on? They're not just airing rerun after rerun after rerun? I remember watching these back when I lived in California. Oh wait, I live in California. Small world. I mean I watched these game shows when I was just a little girl many-a-year-ago. Alex Trebeck looks different without his mustache, but other than that, still the same. 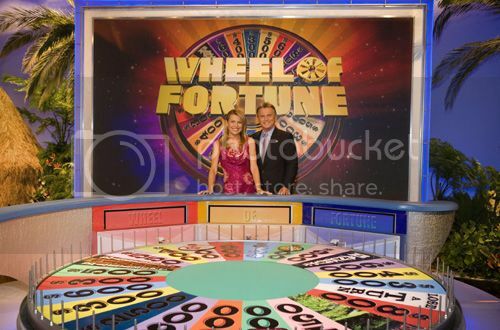 Pat Sajak and Vanna White are still looking young and spry. Gotta love make up! I haven't watched Wheel of Fortune in so long, there are a lot of new things like wild cards and random internet bonuses on the wheel and lightening fast rounds or something and it's all very fast and digital. There's even a million dollar slot wedged between two mini bankruptcies. I'm thinking I'd like to be a contestant, which is quite possible cuz it's filmed in LA, I just have to get my bum in gear cuz and fill out some forms. Answer: Watching Jeopardy and Wheel of Fortune with my husband. Question: What is the a perfect night? you should absolutely go on wheel of fortune! that would be a blast. You should definitely try to get on Wheel of Fortune! Gerrit and I watch Wheel of Fortune on occasion and we both agree that if nothing else, you should always try to win the prize puzzle, because it not only counts for your overall score, but you also win an awesome vacation. Question: Who is the best wife ever? I LOVED those shows as a kid. My Jr. High Spanish teacher was on Wheel of Fortune. I thought that was super fun! LOL. And you should definitely try out! I was in the audience for a show once... umm... Family Feud? Honestly, I don't remember because we got all the way there, and they had technical difficulties, so we just sat there, and the host decided to host an audience talent show instead. I did gymnastics! ;-) LOL.